Cannes is one of our most popular destinations amongst yacht charterers, and for good reason! It has held the annual Cannes film festival for years and is often home to celebrities and VIPs alike. There are endless restaurants, bars and nightclubs that bring the town to life in the summer months – but there is something else too! Party Like We Know You Cannes! It is common knowledge that Cannes is a swanky location to spend the summer. Spend your days strolling down the Croisette and treat yourself buying some new Raybans or a Louis Vuitton bag. Rent a boat in Cannes for the day and cruise to the glamorous St Tropez. Bronze up at Pampleonne Beach then show off your new summer glow in the evening at one of the the trendiest places to be seen this summer. Discovering the joys of Day Boat Chartering in Cannes. Now that the weather is finally improving and the French Riviera is heating up – now is the time to start thinking about your day boat charter from Cannes. Cannes positively blooms in the sunshine and with this sunshine comes a special atmosphere fueled by the variety of events and conferences taking place. A day boat charter is the perfect way to make the most out of a visit to the French Riviera. It is a wonderful means of getting away from the hustle and bustle of the crowds and that hated traffic. Why not hire a yacht and speed towards your destination on the open water in style; be it to St Tropez, Monaco or Antibes? The options are endless, you could start with a cruise around the bay, ghosting past famous hotels such as the Carlton and Martinez before leaving the crowds on the beach and heading to the serene Lerins Islands for a picnic lunch, swim and sightseeing. Then why not also cruise down toward the gorgeous red rock cliffs of the Esterel, or east past Cap d`Antibes and all the way to Monaco if you choose. Circle back in time for an evening drink and sunset, and you will have experienced a truly memorable day in the South of France. One such yacht that would surely give guests a charter to remember would be PULSAR. A brand new Sunseeker Predator 64 that has been built to the very highest standards and comes with a crew of 2 to look to guests every need. Sunseekers are always a popular choice, with the Predator range known for its fast acceleration and exquisite styling, and PULSAR is no exception. With her sleek, stylish lines and powerful performance turning heads where ever you go and plenty of space on deck to absorb that all important sun, she is a fantastic yacht for your day boat charter. Here at Boatbookings, our dedicated team has intimate knowledge of the French Riviera and the yachts that are available to charter. We can cater to any need and seek to provide guests with the best possible boat to hire. We are an independent charter retail broker, meaning that we are not biased as to which boat we promote for your yacht charter. Clients are therefore more likely to be offered the best yacht available on the whole of the French Riviera! Visit L’Écrin Plage, Cannes, During Your Luxury Charter Vacation! 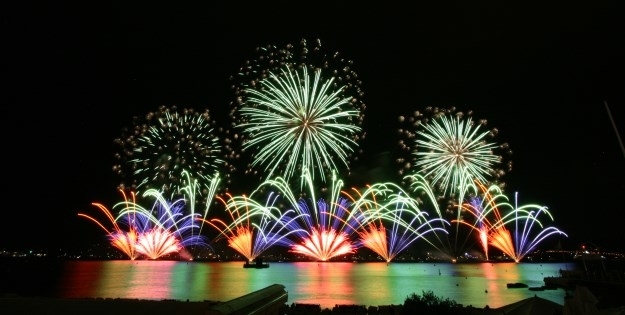 Cannes, home to the famous film festival, always proves to be a popular choice for yacht charters. With its sun, sea and sparkle (yes, the tarmac by the Palais des Festivals is in fact sparkly!) it’s obvious why people love it so. If you walk down the Croisette, the stretch between the two ports, on a hot summer’s day, Cannes is alive with people, whether they’re looking for beach restaurants or designer shops. If you head down to Port Pierre Canto, you will come across L’Écrin, with their beach for relaxing and sipping cocktails, and restaurant for indulging in fine dining. Whether you want to grab a drink at their lounge bar, or try some of the fresh Mediterranean cuisine, stop off at L’Ecrin during your charter and enjoy yourself at one of Cannes’ most popular beach restaurants! 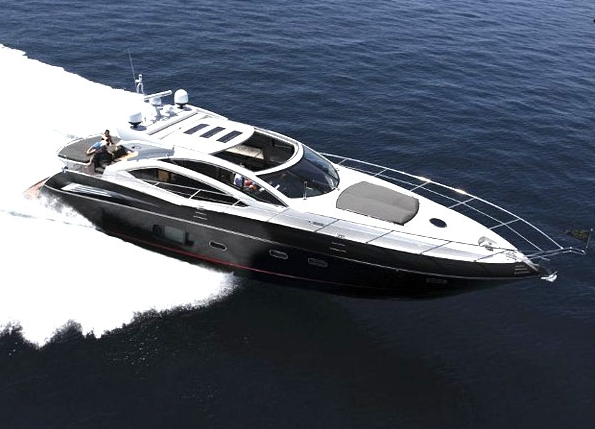 A great boat to get you to L’Écrin is SUR L’ONDE II, an impressive Baia Atlantica 78. 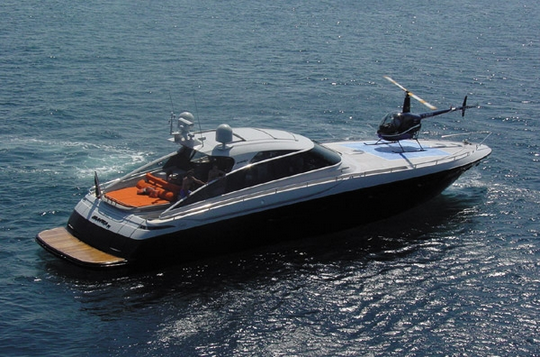 Accommodating up to 8 guests in 4 cabins, she will take you around the French Riviera at a maximum of 48 knots! And if you get a bit tired of cruising, why not get picked up by helicopter? If you’re not sunbathing at the front of the yacht, you can fly your friends out to visit you at sea. The Monday following Thanksgiving is one of the busiest shopping days of the calendar year, giving retailers a significant boost in the run up to Christmas. Christmas is just around the corner and it will soon be summer once again, so you should definitely start to think about booking your Mediterranean Charter. The French Riviera is one of the leading yachting destinations in the world and we would highly recommend a day out on the water to get a real taste of life on the Côte d’Azur. MISTRAL 55 is one of the most luxurious yachts on the Riviera that is willing to do a day charter. This Pershing 115 combines the very best design with comfort and is a very sociable yacht, making her the ideal choice for a party day on the water. If you are looking for something a little more intimate but still offers great space and style, ADAM is the perfect luxury day charter yacht for you. This Azimut 62 has a stunning Flybridge, which is the ideal space to sunbathe and enjoy an al fresco lunch whilst viewing the beautiful views of the French Riviera. Charter this Azimut from Antibes or Cannes with close family and enjoy the gorgeous coast near Villefranche and St Jean Cap Ferrat. To find out more information on how to charter either of these two yachts, please enquire through the yacht page on our website (Links Above) or send an email to charter@boatbookings.com. We would be delighted to help you organise a great day charter on both of these yachts for Summer 2013. Watch this space for the latest yachting news, gossip, destinations and news. Check out our latest video of one of our favourite Luxury Sunseeker motor yachts, AQUA BLUE. She is perfect for pampering and taking in everything that the French Riviera has to offer! Please follow the link above to find out more information on this great yacht and please enquire via the page or send an email to charer@boatbookings.com.